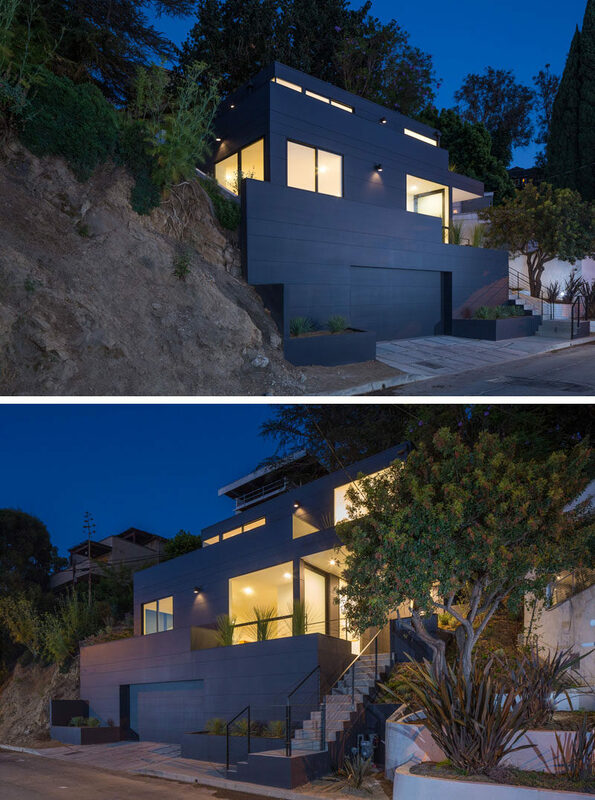 Aaron Neubert Architects have designed the Tilt-Shift House, a modern house that has a striking, bold, black exterior, located on a steep slope in the hills of Los Angeles. 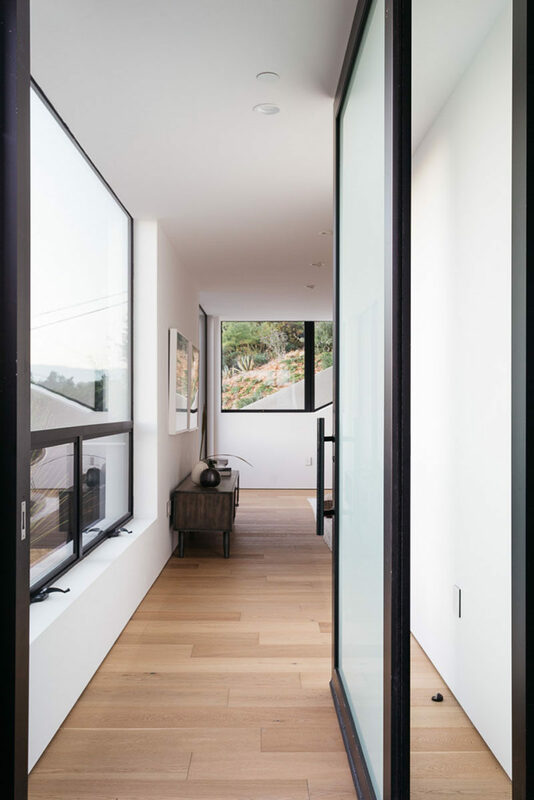 Concrete stairs with a minimalist black handrail lead up to a small covered deck that provides protection from the elements and access to the front door. 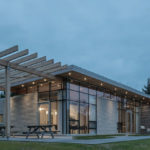 A semi-transparent front door and large windows allow natural light to fill the interior of the home. Inside, the living room, dining room and kitchen share the same open space, while located off the living room is another small deck with space to sit outside. Back inside, the upper half of the kitchen is kept bright with the use of white walls and wood shelving. 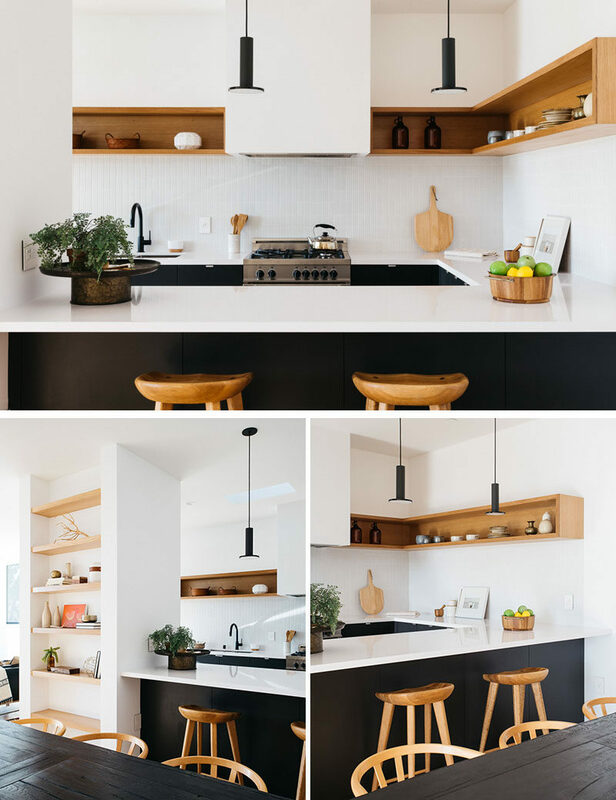 The lower half with the cabinetry is matte black, creating a strong contrast to the rest of the kitchen. 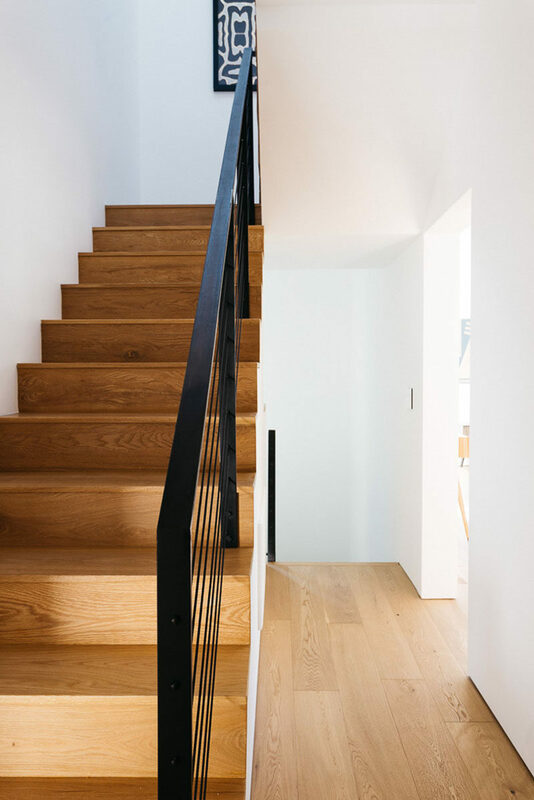 Simple wood stairs with a black handrail connects the various levels of the home. Upstairs, there’s the master bedroom with floor-to-ceiling, black-framed windows that flood the room with light. 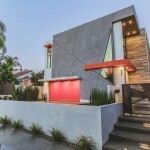 A door that matches the windows allows the home owners to gain access to a deck with views of the neighborhood. In the master bathroom, there’s a large wood vanity with a white counter and round mirrors. 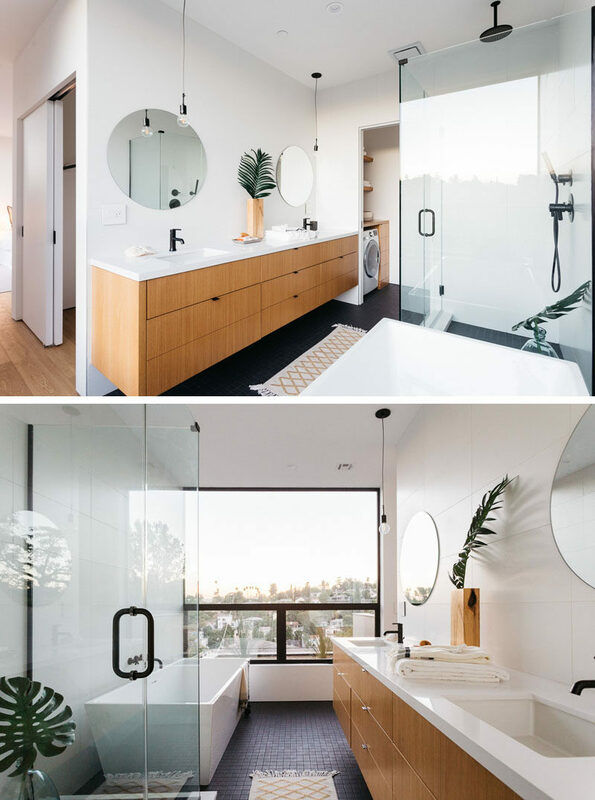 Beside the vanity is a small nook with a laundry room, and opposite the vanity is the shower with a glass surround and a bathtub positioned to take advantage of the views. At the back of the house, there’s a private patio area with tall white walls, outdoor dining and a lounge area.